Not since Arthur Eddington‘s confirmation (from luck, skill, expectation, selective bias, or other) of space curvature by the Sun as predicted by Einstein‘s General Relativity have English and German scientists agreed so closely on a matter of scientific importance. 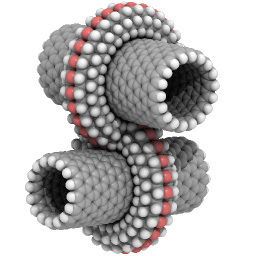 Yes, the NanoEngineer-1 energy-minimized, POVRay-rendered fused diamondoid carbon nanotube van dew Waals crimp junction wins the eye candy prize yet again out of all the molecular mechanics-based structures in the gallery. Now that I’m trying more with Qutemol, we’ll see how subsequent selections go. Links and pdfs are provided below for bookkeeping purposes, as they’re already google-able. As standard procedure, I’m happy to provide free, hi-res graphics to interested parties of anything already in the gallery and have no problem with their general use provided that I know where they are showing up if they’re going to be put into paper-print. The German site, hessen-nanotech.de, recently used the image as part of a publication on “Nanotechnologien fur die optische Industrie,” “Nanotechnology for the Optics Industry,” which is about as far as my conversational German will get me at this point. In French, that would have been “Industrie optische,” which is about as far as my conversation French grammar gets me at this point. C’est dommage. Grundlagen fur zukunftige Innovationen in Hessen Die Nanotechnologie und die Optik gelten als entscheidende Zukunftsfelder fur die deutsche Industrie und als wichtige Jobmotoren. In Zukunft wird die NanoOptik nach Expertenmeinung unser Leben ahnlich grundlegend verandern wie das Auto oder die Computertechnologie. Fensterscheiben, die sich bei Sonnenlicht automatisch im gewunschten Farbton verdunkeln, sich selbst reinigen, Sonnenenergie effektiv in Strom umwandeln oder sich bei Bedarf in Bildschirme oder Beleuchtungselemente verwandeln. Das ist keine Science Fiction, sondern NanoOptik von morgen. Die vom Kompetenznetz fur Optische Technologien in Hessen/Rheinland-Pfalz Optence e.V. erstellte Broschure “Nanotechnologien fur die optische Industrie – Grundlagen fur zukunftige Innovationen in Hessen” der Aktionslinie Hessen-Nanotech des Hessischen Wirtschaftsministeriums erlautert bestehende Anwendungen der Nanotechnologien in der Optik und zeigt zukunftige Anwendungspotenziale fur Unternehmen auf. 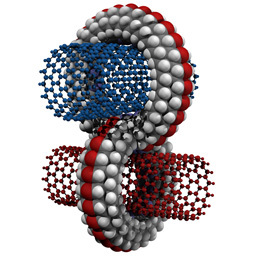 The Brazilians, however, seem to prefer their nanotube-free Drexlerian nanotech (local copy).